We sell firewood & logs ready to burn by the cubic metre. This is delivered loose on our tipping trailer. Please note, a bulk / builders bag measures 80 cm x 80 cm x 80 cm. This equals half a cubic metre! Prices: Per cubic metre ( equivalent to 2 bulk bags ) £120.00 for hardwood. We now supply large nets 75cm x 45cm at £6.00 per net – Minimum order for free delivery 20 nets. Firewood & logs have seen a great increase in demand yet the buying and sourcing of good quality firewood & logs can be a difficult affair. 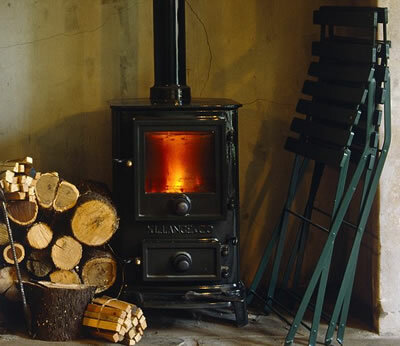 Most Scandinavian homes have wood burners and yet they burn only softwood! Softwood may have a smaller calorific value but they are still a superb fuel. Cedar is some of the best firewood you can buy. Softwood is much better for starting a fire and getting the bed of the fire going than hardwood. All kindling wood is usually softwood. How to buy – Always buy firewood by volume which is usually measured by the cubic metre. Talk of ‘a pickup load’, a ton, a trailer full etc. is meaningless and does not give a specific amount of wood. Trailers can be different sizes, the sides on some can be bigger, the wood can be stacked higher etc. Bulk builders bags are not a cubic metre but are around 0.5 of a cubic metre. Never buy wood by weight. Dry wood weighs much less than wet freshly cut wood. So if you buy a ton of wood you will probably end up with poor quality logs. Always buy your logs by the volume i.e. in cubic metres. Wood lying in large round trunks may have been down for years but the wood inside will not be dry. You need to split and open wood up for it to dry. We split our wood and dry it outside, where it is open to the elements. All our logs are seasoned. We ensure plenty of airflow and sun. Once dry the logs are covered in the Autumn to keep the rain and snow off. It is how you dry your wood, not for how long for that is important. Our wood is dry and ready to burn. For delivery and any queries, please email us or telephone us on 07854 312419 (daytime) or 01606 738 622 (evenings).